Hi, I’m Michael. Author, Speaker, Life Coach. “This book is life changing! Struggling to manifest specific conditions in your life? Taking action but still not getting the results in your life you want/deserve? Frustrated and ready for your Best Life? I want to invite you to decide that you can have what you want in life...you can have your Best Life. You can have those improvements you seek regardless of the area of your life you want improved. Go right ahead and imagine how good it will feel to finally have it! Imagine the feeling of relief, of joy, of gratitude and of appreciation. We struggle because we often have old hurts, limiting beliefs and a limited version of ourselves in our consciousness that gets in our way. We don't tend to FOCUS deliberately and consistently on what we want, but instead we let our outer world determine what we focus upon and believe. Or we let our past experiences determine how we focus, think and feel. We want conditions in our lives to improve and we put a lot of effort into changing them, but we don't really change our very own 'Consciousness' so conditions in our lives stay the same. Sound familiar? Your very own Consciousness is the key! To truly shift unwanted conditions in your life...you must shift your Consciousness about that subject whether the subject is relationships, money, business, career, health, etc. It doesn't matter. Truly shift your Consciousness, embody a new version of you and conditions will shift. You and I are expressions/extensions of a Divine Consciousness, Intelligence, Source...what I call God Consciousness...and being able to align with your Divine Self and embody the states of consciousness 'of you with your desire/improvement fulfilled' is the Key. I've been able to shift my consciousness in all areas of my life and all areas of my life have improved. I've overcome depression, worry, anxiety and loneliness (have a partner of 20 years). I've improved my finances beyond what I thought was possible. I've had successful careers, improved my business, and health. I've deliberateley manifested specific things in my life, like cars, money, my home, my office and more...and I've helped others do the same. “Whatever you do and how you do it works! I just wanted you to know...`` Client improving her life. ``Busy week last week! Close to a record day on Friday.” Client improving his business. “Everyone tells me this house won’t sell.`` Two weeks later the house sold. Client improving sales. You can manifest Your Best Life...now! Contact me now and let’s get started or for immediate solutions read my book ‘Manifest a Better Life with God’ available on Amazon! 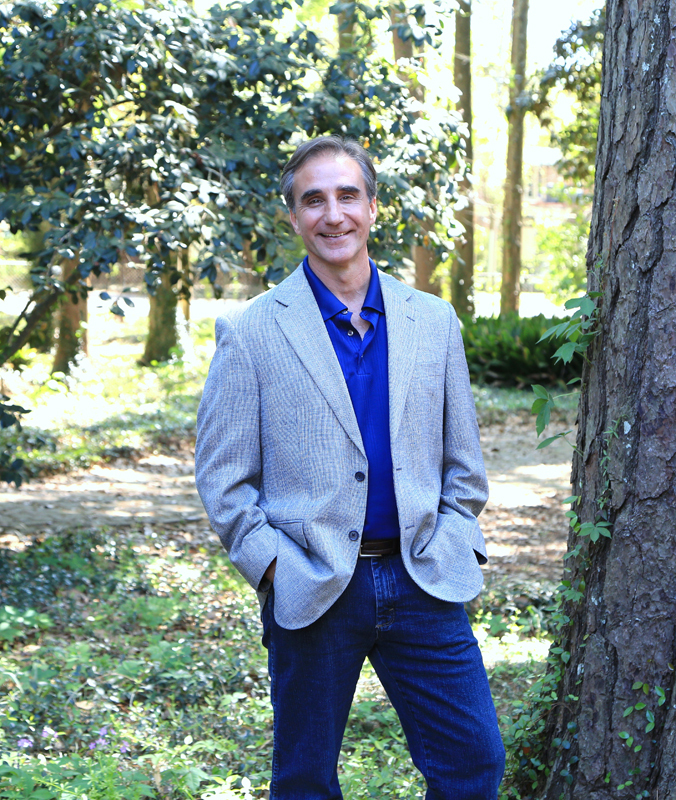 I am Michael LeBlanc Author of the Amazon International #1 Best Seller, ‘Manifest a Better Life with God’ and Co-Author of Amazon #1 Best Seller ‘The Abundance Factor’ with Joe Vitale. I’m also a Speaker and Life Coach and help people Manifest Their Best Life. You can manifest a better life and your best version of you does exist right now! We struggle because we often have old hurts, patterns, limiting beliefs, limited versions of ourselves in our consciousness that get in our way. And, we don’t tend to FOCUS deliberately and consistently on what we want but instead let our outer world determine what we focus upon. I can guide you to take charge of your beliefs, emotions and shift your consciousness to manifest better conditions in your own life. You can do this! I speak, facilitate workshops and provide life coaching based off of the teachings in my books, using my techniques and other practices to help people deliberately manifest better lives. I’ve helped myself, others and can help guide you to manifest a better life for yourself. 15+ years ago I had a successful small business as a therapist, landscaper, Reiki practitioner and teacher of counseling but I had old unconscious beliefs about ‘not being good enough, smart enough, talented enough and not having enough value’ and as a result my business eventually failed. I had work to do…inner work. Through spiritual practices and healing techniques that I studied and applied, I let go of those limiting beliefs and embodied new beliefs. I was wrong back then. I have value, am smart enough, and talented. I know first hand that you can embody new beliefs, and manifest a better life! There are specific steps to take and it does work! I’ve improved my relationships, finances, business, wrote a book, traveled and worked in 30 countries and have grown spiritually. I’m ready to share what I have learned and help you manifest a better life. Are you ready? Why am I qualified? I have 30+ years of experience as a licensed Social Worker and over 15 years of experience as an International Consultant, Facilitator and Presenter and have facilitated workshops in approximately 30 countries. I am also a Certified Life Coach and a Reiki practitioner. Another very important thing is I’ve worked on me. In my personal life, I have used traditional types of therapies, alternative therapies, healing methods, energy and body work and have applied spiritual laws to improve myself and my world. It has been a great adventure both inside and out. As an Author, Speaker and Life Coach, I bring my professional and personal development to you. Spirituality, personal growth, healing and how to use our ‘Spiritual-Self’ to manifest better conditions in our lives is a passion of mine that I incorporate into my work. —Manager, Fortune 500 Manufacturing Company. I believe we are inherently designed to have great and meaningful lives. I have come to discover that the conditions in my life directly relate to the level of beliefs and consciousness I have about myself, others and life itself. As I change my beliefs, change my consciousness about myself and align with my highest self, conditions in my life shift accordingly. I’ve studied this over the past 30 years and have experienced it firsthand. There are specific techniques you can do. More importantly I have come to discover there are specific practices, techniques and methods we can apply to manifest better conditions in our lives. We have more ‘say so’ than we think! You too can learn and apply these to manifest a better life. 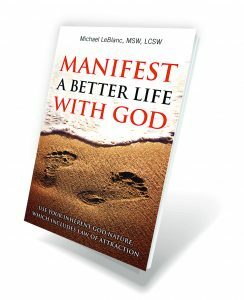 As an other way to share what I have learned over the years, I wrote a book called “Manifest a Better Life with God,” Use Your Inherent God Nature which Includes Law of Attraction. This book alone can provide you with guidance to learn how to manifest better conditions in your life and improve your sense of ‘well-being.’ It is available on Amazon. Combining the book and myself as your life coach is a ‘win-win’ investment and will move you forward in your journey. “Don’t think about this one, buy it! The day I received it, I picked it up and could not put it down.” —Elizabeth (Amazon 5 Star review). Thanks for your time and I look forward to helping you manifest your best version of you! Get Weekly Inspirations to Help You Manifest Your Best Life!